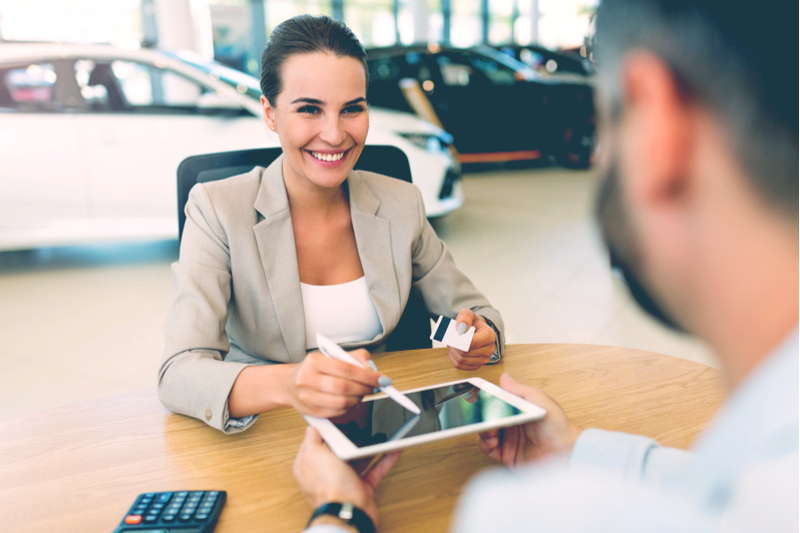 With the modern car buyer taking a complex journey towards their final purchase, car dealerships need to maximize their impact during every stage of the sales cycle, by connecting the digital marketplace to the salespersons’ desktop. OneDealer Digital Sales Workplace is built from a deep understanding of the new generation of car buyers. It enables car dealership sales teams to take a structured, holistic approach to the sales process and turn more inquiries into confirmed orders than ever before. Without any controls in place, there are numerous opportunities for the car buyer journey to fail. Digital Sales Workplace prevents this from happening by guiding leads down a workflow with strategic triggers along the way, enticing them to explore additional options, make informed decisions and, eventually, commit to the purchase. Workflows are tailored for new vehicles, used vehicles and fleet sales and fully customisable per car make, model and market segment. Sales staff navigate easily through the process, negating the need to invent the journey themselves. At the same time, automatic activity tracking and reporting abolishes the need to write boring visit documentation. Intuitive collaboration tools enable the sales team to work coherently, removing bureaucratic procedures and communication leaks and enabling management to intervene in real time when required. Maximize sales teams efficiency: No more communication leaks. Sales staff work faster and smarter, thanks to a connected, workflow-based enquiry process. Response time to leads are subsequently reduced, and management can monitor sales progress in real-time and collaborate instantly with staff. Boost customer satisfaction: Customers receive timely emails, SMS messages and a personalised microsite relating to their enquiry, while maintaining a clear view of the offer on the table. Staff engagement: Painless navigation through a structured sales processes, auto-generated documentation and instant collaboration are delivered via an intuitive and tablet-ready web interface. Fully customizable: Management can define & customise standardized workflows, with manual and automated steps, to fit any vehicle make, market segment, source/channel or customer group. Cutting-edge technology: Digital Sales Workplace is built on SAP technology which delivers blistering speed and rock-solid reliability while scaling effortlessly. Available either via secure cloud or on-site. We understand the modern car buyer’s journey, and that understanding is woven into the fabric of Sales & Lead Management. Car dealerships are in full control of enquiries, leads and opportunities, with sales staff guided through automated processes that know when to hand over the reins. Managers are able to take a holistic, bird’s eye view of the entire sales process and customise workflows to fit every car make and market segment. Digital Sales Workplace module is built from a deep understanding of the new generation of car buyers. It enables car dealership sales teams to take a structured, holistic approach to the sales process and turn more enquiries into confirmed orders than ever before. New enquiries are guided down paths that have strategic triggers along the way, enticing them to explore additional options, make informed decisions and, eventually, commit to the purchase. Without any controls in place, there are numerous opportunities for the car buyer journey to fail. The Sales & Lead Management module prevents this from happening, allowing it to instantly win the affections of sales teams. Collaboration tools enable the sales team to work coherently, removing bureaucratic procedures and constant phone calls and enabling management to intervene in real time when required. Sales staff are free to determine when a lead transitions into an opportunity. Open leads, opportunities and enquiries lists filtered by sales person, customer, brand, market segment etc. Built on cutting-edge SAP technology, the Digital Sales Workplace module benefits from a technical infrastructure that can effortlessly scale and meet the demands of modern car dealerships by providing blistering speed and rock-solid reliability on any available device. The user interface and multi-device compatibility of OneDealer enables sales staff to operate an enterprise-level application without the need for costly training by integrating today’s standard user – machine communication. Available either via secure cloud or as an on-site installation, Digital Sales Workplace will effortlessly slot into any car dealership’s existing infrastructure preferences. The Digital Sales Workplace module is fully compatible with tablets, enabling sales teams to be free from desk-based enquiries. Potential customers can be guided through the sales process, no matter where they happen to reside in the showroom. A truly mobile, portable sales tool which frees dealerships of desktop-only system constraints.